The 2018 edition is now available! Download your digital order form here. LBMAO membership includes a complimentary copy of the annual Directory of Ontario Lumber & Building Materials, Hardware and Home Improvement Retailers, Buyers’ Guide and Product Sources. This is a valuable industry sales tool for both retailers and suppliers. Additional copies may be purchased at nominal cost. Retailers: Find the specific supplier for that new product and eliminate the guesswork! Suppliers: Find the retailer you’re looking for in any town in Ontario FAST. Also, by advertising in the Directory, you are giving your company unparalleled reach to the most influential decision makers in the industry. 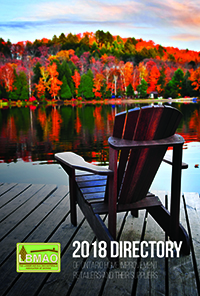 Unlike traditional magazine advertising with multiple issues per year, the Directory is only printed once per year, providing year round exposure to a very targeted audience. ADVERTISERS: Download the 2019 digital rate sheet here. Lists all known retailers in the province of Ontario by town, including all address information and principal contacts. Lists all LBMAO Supplier members in the Buyers’ Guide section, as well as by a comprehensive list of products in the Product Source section. Lists all retail lumber and building materials associations in Canada. Handy tabs for quick reference. For more information please contact Joanne Moquin: 905.625.1084, 888.365.2626.